This sweater has shown up a lot during the past few months. I used it to test out a more truthful and accurate method of swatching. When I was feeling overwhelmed by all of my knitting projects, I focused on this sweater to feel like I was making progress. Plus, there were the random WIP updates. In all that, I never shared who I was making this sweater for. Well, I’m not mailing it cross-country, and I’m not giving it away at a baby shower. This little beauty is staying right here with me for my own little one! Aside from a few fiddly details of my own making, the pattern - Pacific Coast - was a pretty easy knit. I made a few changes, but mostly followed the instructions since I haven’t knit a lot of sweaters of any size. You can check out all of my notes, mods, and more photos here on the sweater’s project page. Since it’s almost baby time, there’s going to be a few changes around here too. First, this will mostly likely be the last blog post for awhile. Second, I’m not sure when I’ll be back to regular posting or what that schedule will be. I’m just going to play it by ear. There might be a random post here and there over the summer or maybe not. We’ll see. Third, the With Wool Weekly newsletter will also be taking a break and will return eventually. Happy knitting and happy spinning. I’ll see you on the other side and on Instagram. Sometimes the hardest part of finishing a knitting project is figuring out how to wash and block it so that it looks its best, especially hats and slouchy hats. I stalled while trying to figure out how to block my Owl In The Thicket hat after not being able to put it down because the cables were so addicting to knit. How could I block it so that the cables and fabric relaxed evenly? This is the hat after it came off the needles. Looks good, right? The cables are crisp. The shape and length are just right. So why would I need to block it? This is why. 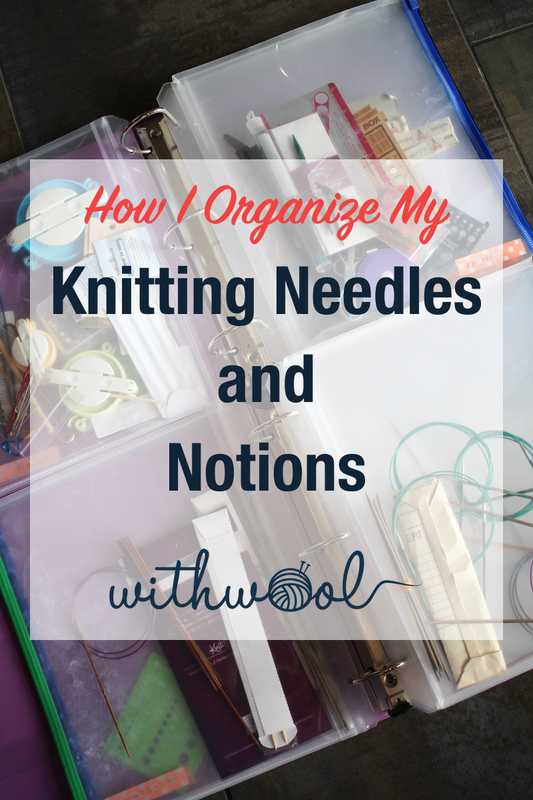 The needles I chose created beautiful cables, but also a firm fabric. It looked more like a gnome hat than the loose slouch that I had in mind when I cast on. The hat wasn't a knitting failure, just unfinished. Skipping blocking was not an option. But how to do it? The cables and fabric needed to relax evenly over the entire hat, so I didn’t want to use a balloon or a ball. And stretching the hat over a plate wouldn’t help since I wasn’t trying to make a beret or tam. So what else would work? The perfect slouchy hat blocker turned out to be a smooth foam roller. What’s a foam roller? Basically, a dense foam cylinder used to help loosen tight muscles, tendons, and knots before or after exercise. They’re easy to find and not expensive. And when you’re not using them to block hats, you can still use them to work out those pesky muscle knots. The one I have is 18” around which makes it the perfect size for blocking most child and adult hats. Step 1: Soak the hat in cool water with a squirt of no-rinse soap for 15 to 20 minutes. I use Eucalan (<<— affiliate link! *) and love it. Step 2: Roll the hat up in a towel and squeeze out the excess water. Remember not to wring it out which will pull the hat out of shape. Step 3: Pull the hat over one end of the foam roller. Then you can move it around and make sure the hat and design details aren’t twisted. Plus, since this is foam and not a balloon, you can easily stretch and pin out any lace or crown decreases. If you want to keep a ribbed brim as stretchy as possible, you can cut the foam to size so that the brim hangs below and un-stretched. Step 4: Let it dry, take it off the roller, and enjoy a perfectly slouchy hat. Here’s what my hat looked like after blocking and with the addition of a giant pom-pom. 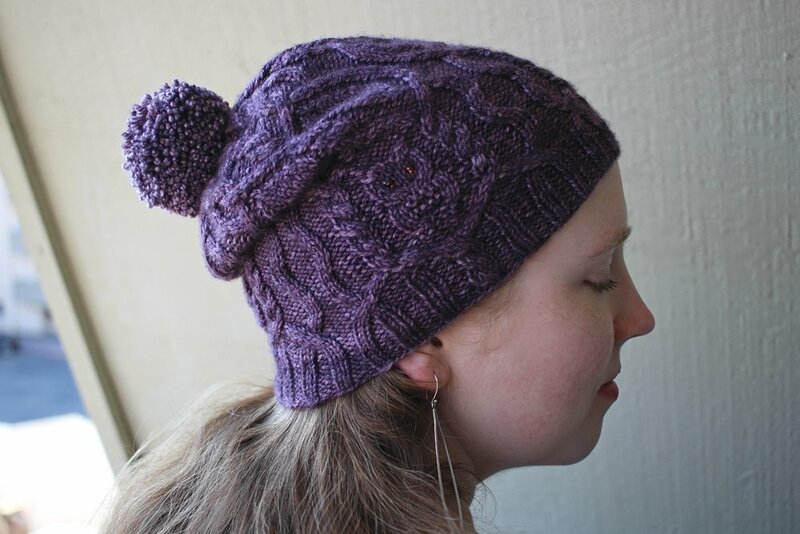 It’s a definite change for the better, and the slouchy hat I wanted from the beginning. Blocking isn’t magic, but it certainly seems like it could be. *This post contains an affiliate link which means, if you decide to buy through that link, I’ll get a small commission. My opinions are unbiased, my own, and formed after years of use. I wouldn’t recommend this soap if I didn't think it worked well. Thanks! It seems like I say this every year when I finish a new hat, but this is my new favorite hat. It’s soft, warm, and perfectly slouchy. There’s even cables and owls with beaded eyes for good measure. The only thing I’m kicking myself about is that I didn’t cast on until a year after I’d bought the yarn! Still I’m glad it’s finished and just in time for weird spring weather. Will it rain? Will it snow? Look out the window to find out. The pattern, Owl in the Thicket by Sara Huntington Burch, was a great challenge. This hat is all about the details and required lots of attention. Aside from the ribbing, there were only a handful of rows that were the same in the entire pattern. 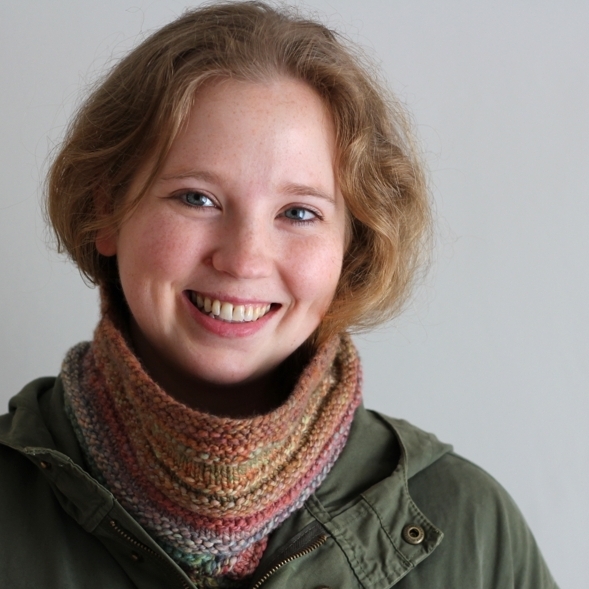 I had a lot of fun knitting it, and now I want work on more complicated projects. 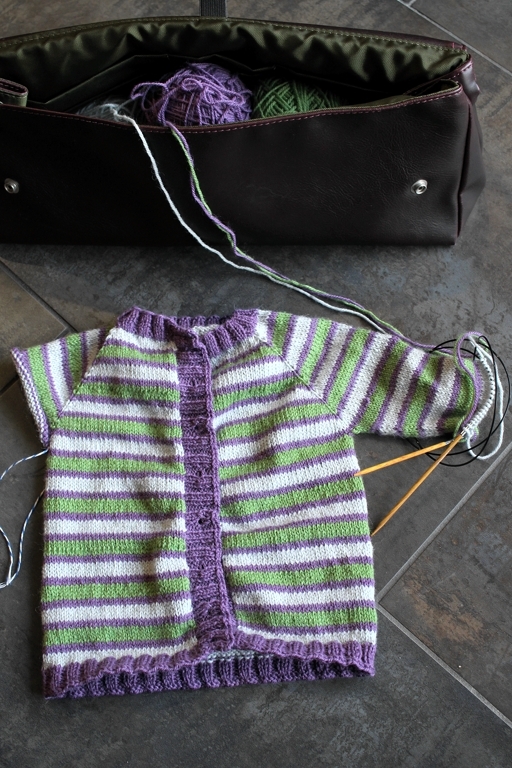 It’s nice to break out of the auto-pilot knitting every once in a while. And the knitting didn’t actually take all that long because I had a hard time putting it down. I just got hung up on how to block the thing which I’ll show in more detail in my next post. I splurged on a skein of the recommended yarn, Anzula Cricket in the Lenore colorway, which I don’t do often. The benefit and responsibility of having a large stash means I usually shop from it first. The reason I splurged is that Cricket is a blend of merino and cashmere with a beautiful luster. The yarn was wonderful to work with and the semi-solid dye job added the right amount of detail. I’m glad I didn’t pick out a darker color because then all the cables would have gotten lost which would have been a complete waste. 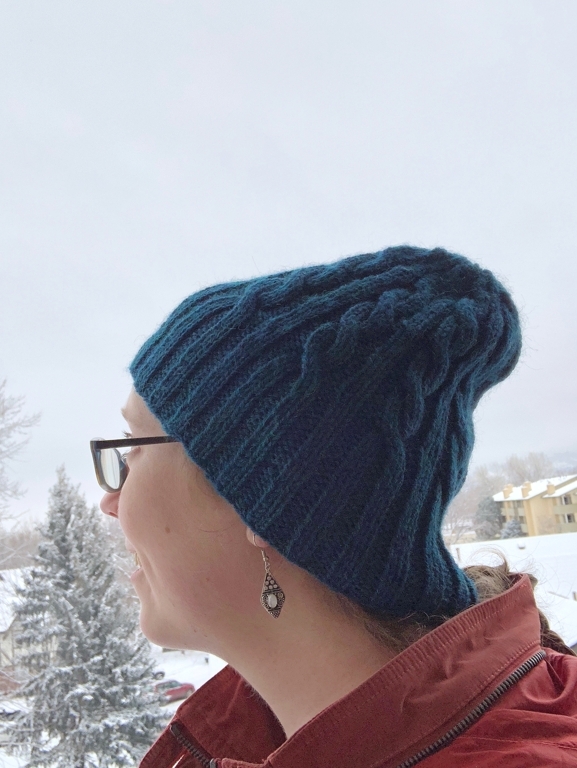 The yarn and cables certainly go a long way towards making this my favorite hat, but the pom-pom is what really makes it. I add pom-poms to stuff on a case-by-case basis. They’re cool, but not always necessary. Not this time. 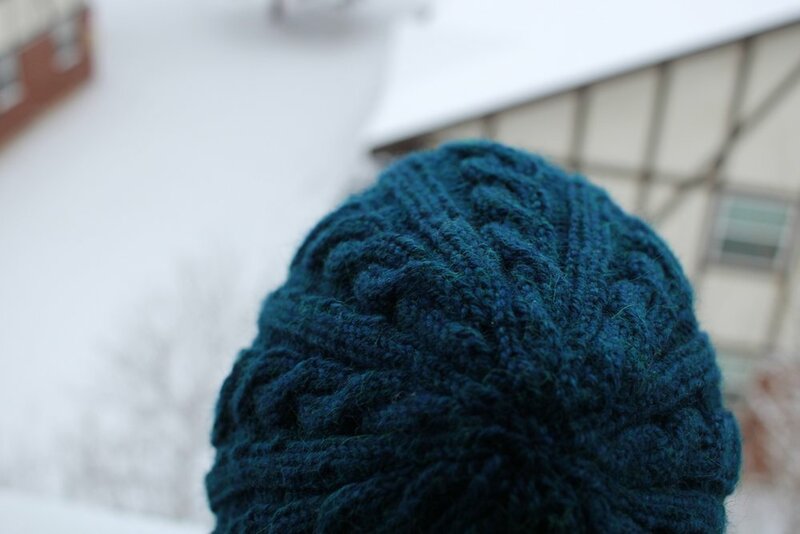 The pattern sample looked so good with a pom-pom, and my hat just looked so lacking without one. So I made a very large and in charge pom-pom, but how to put it on? This pom was pretty weighty and used 5 yds of yarn! I didn’t want it to pull the hat out of shape or for it to look tacked on. The answer turned out to be a .5” button. 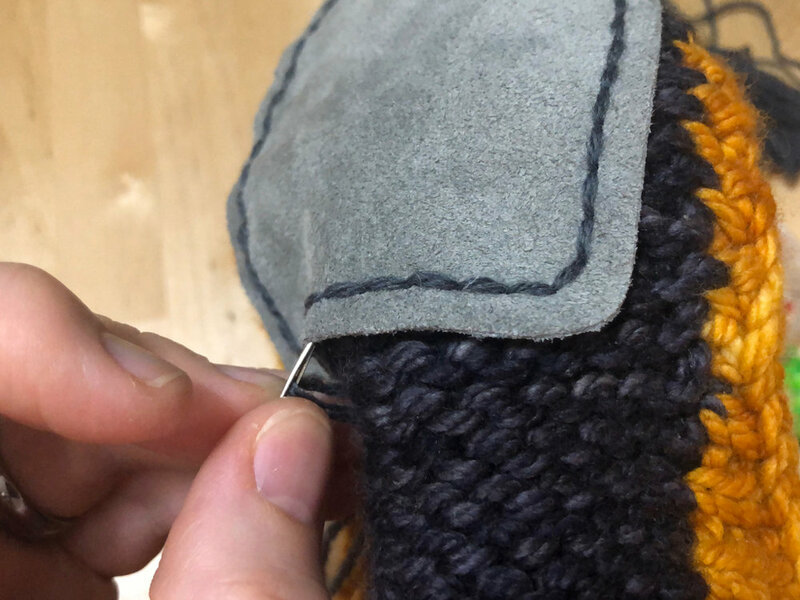 I used this tutorial for how to attach a removable pom-pom. Now, I have no intention of wearing the hat without the pom or taking it off (except maybe to wash it). The button gives the pom somewhere to sit, and that little bit of extra structure makes all the difference. Now to wait for the weather to get cold enough to wear this beauty. I might not have to wait long with this random weather. Knowing your gauge for a knitting project is important. There’s no doubt about it. But how do you measure gauge when you’re not knitting something in stockinette? 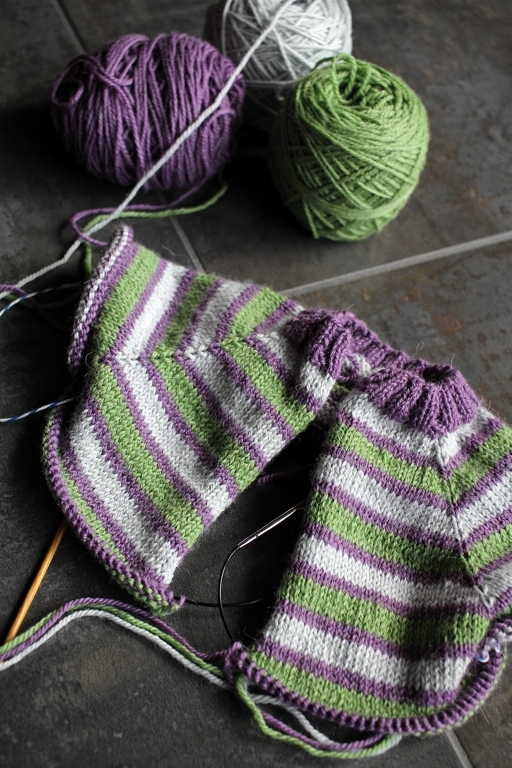 And why do patterns list gauge in stockinette when the project is covered in cables or ribbing or slip stitches? Why is the gauge listed in stockinette? 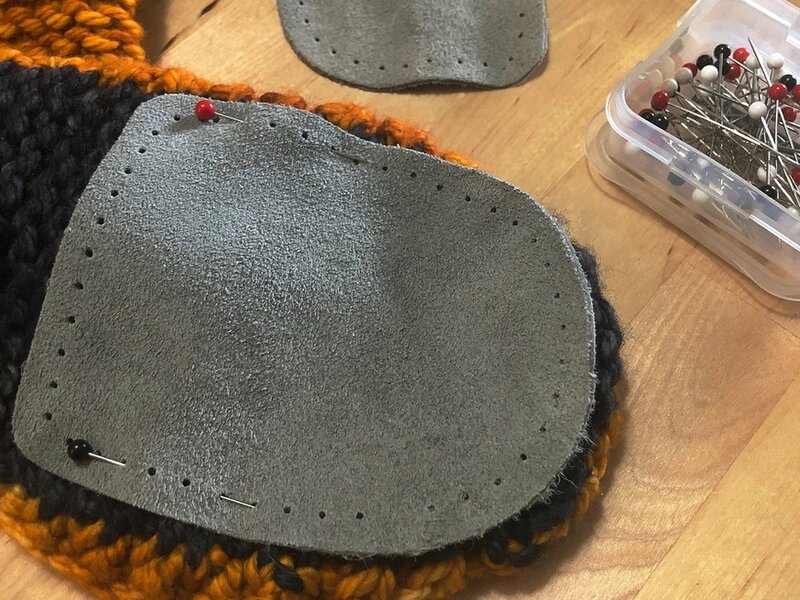 Patterns usually measure gauge in stockinette because the author is assuming that if you can match their gauge in stockinette, then you’ll be able to match gauge in the pattern’s specific stitch. 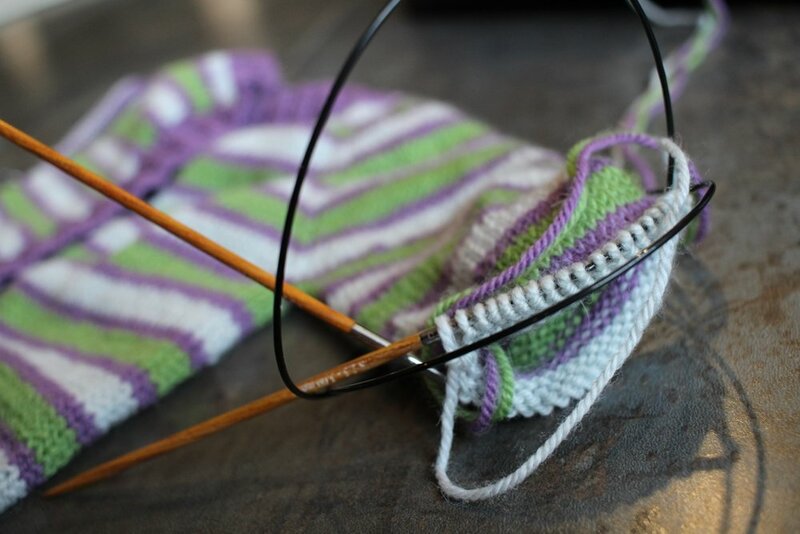 Plus, it’s also a lot easier to measure stitches and rows on stockinette than on a more complicated stitch pattern. Less room for a miscount that way. 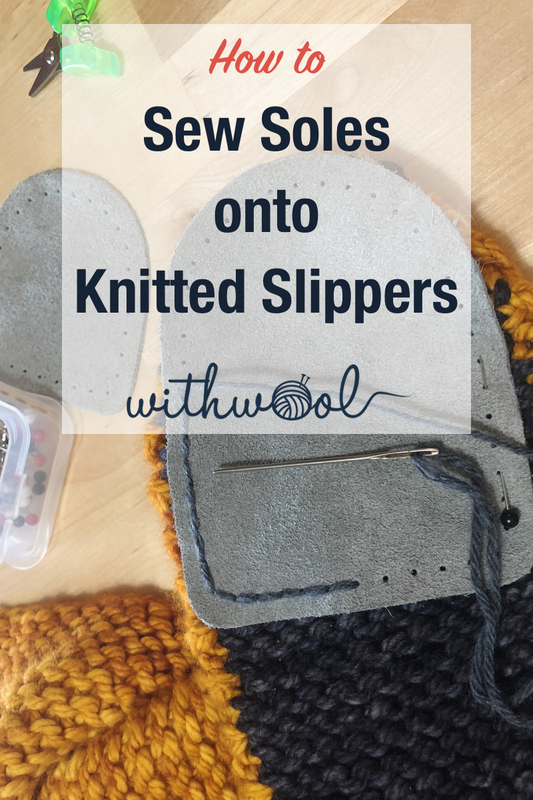 There are plenty of patterns that list gauge in the dominant stitch pattern of the project too. 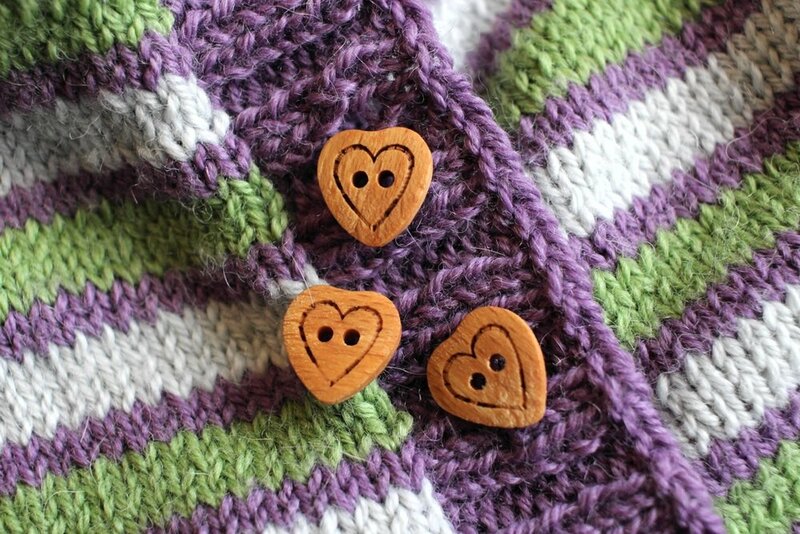 The specific stitch pattern to swatch will be mentioned with the gauge info. If there’s no stitch pattern listed, the gauge is taken over stockinette. So what do you do when the stitch pattern is ribbing? Whatever the specific pattern - 1x1, 2x2, 4x2, etc - ribbing is stretchy and the purl stitches hide in the back. How you check gauge will depend on 1 of these 3 words: unstretched, stretched, or blocked. 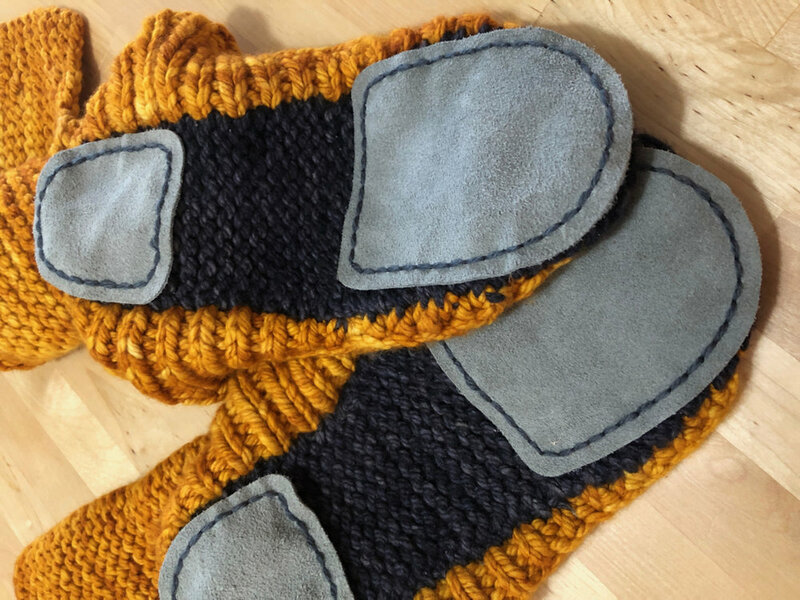 I’m going to include the usual caveat, washing and drying your swatch the same way as the final project will help you get a more realistic measurement. 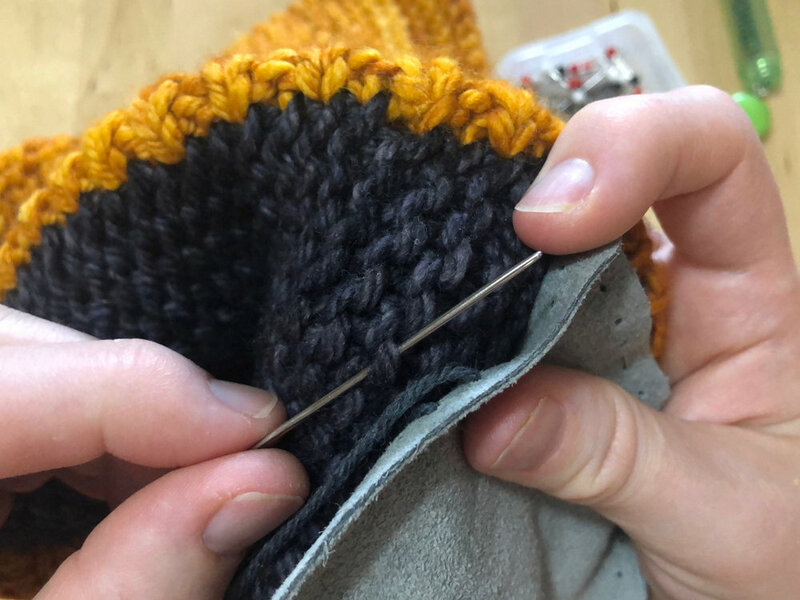 If the pattern says to measure the ribbing gauge unstretched: Put the knitting on a flat surface and count both knit and purl stitches over the length listed with the gauge info. 2” and 4” are the most common. 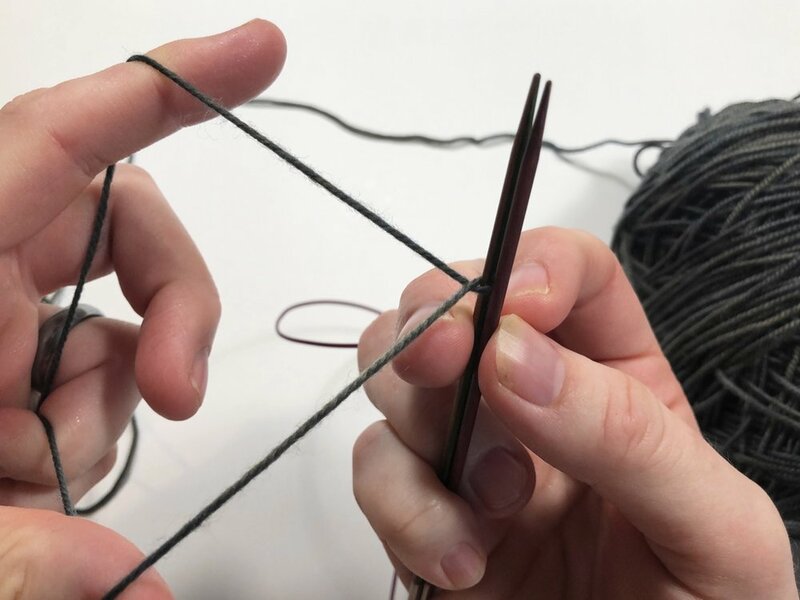 If the pattern say to measure the ribbing gauge stretched (or slightly stretched): Generally, this instruction means to pull the ribbing apart enough so that the purl stitches become clearly visible, but they are not pulled tight. You’ll probably need to pin the swatch out to get a true stitch count. Then count the stitches to find your gauge. There’s a little room for interpretation with this instruction because one knitter might find that the listed gauge too loose or too tight. 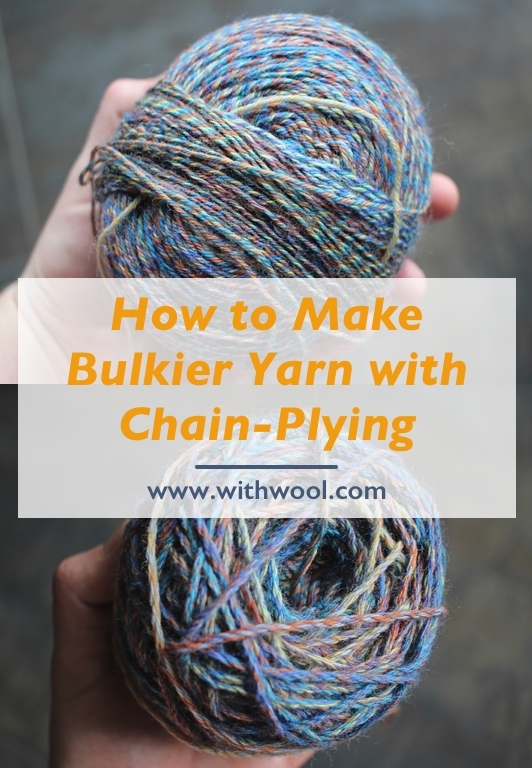 Or, if you’re substituting a different yarn, said yarn might not behave the same way as the one used in the pattern sample. 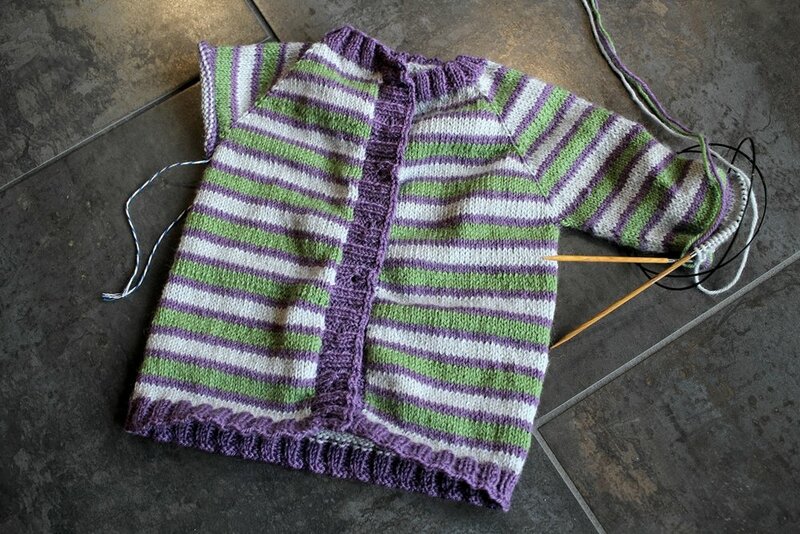 If the pattern says to measure the ribbing pattern blocked: Let’s not confuse the general definition of blocking - washing and drying your knitting to help it be a specific shape or size, not necessarily stretching it - with the word “blocked” as written here. In this specific case, blocking means to wash and dry the ribbing while pulling the ribbing out until it looses it’s stretchiness. 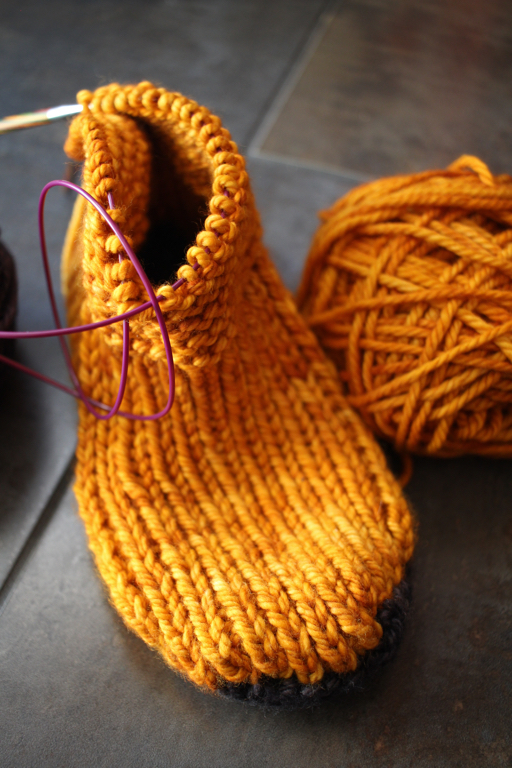 It’s important to pin the swatch out to the measurements listed in the pattern while its drying. Then once the swatch is dry and the pins removed, measure the gauge. 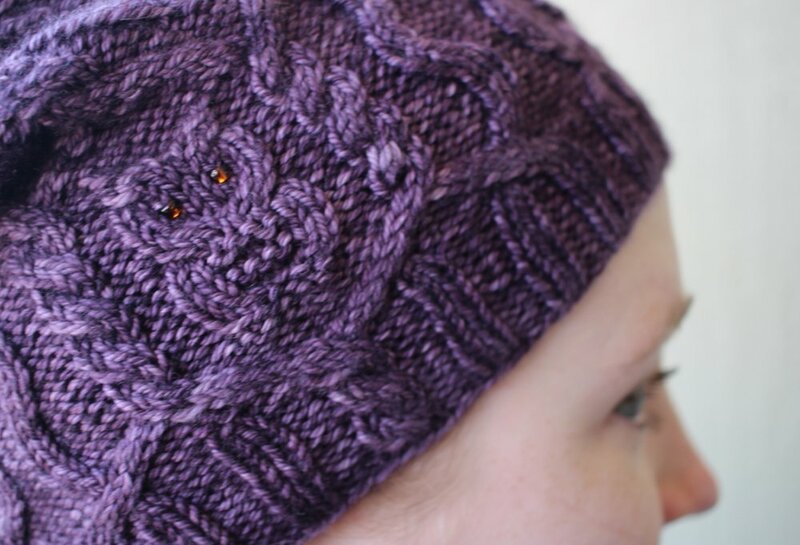 The hat is worked in worsted weight yarn, and 13 stitches seems like way too many to be in 2” at first glance. “Unstretched” is the keyword here. Since the measurement is taken over unstretched ribbing, all those purl stitches hiding in the back are counted. The stitches per inch would be very different had the gauge been listed as “stretched”.